Providing you the best range of tfo aluminum bobbin and aluminum pressure die casting with effective & timely delivery. With the help of adroit expert’s team, we are proficient to present a wide series of TFO Aluminum Bobbin, which is known by consumers for their robust nature. 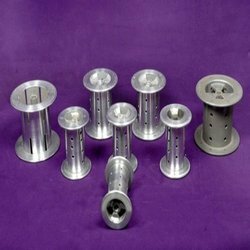 We are renowned as one of the leading manufacturers and suppliers of Aluminium Pressure Die Casting to our clients. Our Aluminium Pressure Die Casting has different industrial purposes, as it is designed by using high grade material and innovative technology. This Aluminium Pressure Die Casting is well checked by our professionals as to deliver best quality product to the clients. 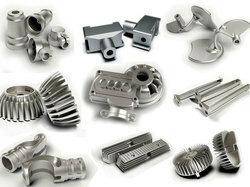 Looking for Aluminium Pressure Die Casting ?